Far-Out Dude! 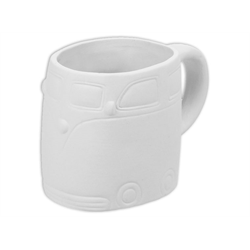 Have a groovy cup of coffee with this awesome ceramic Hippie Van Mug! Paint it with your favorite vintage colors and enjoy this unique bisque piece!